Did You Go to Hajj? With the completion of hajj and celebrations of Eid al-Adha that occurred from November 25-30, I thought it would be a good time to do a follow up on the Inside Islam radio show that aired November 19th, during which Jean talked with Michael Wolfe and Qanta Ahmed about hajj and their personal experiences as pilgrims. The show highlighted the history of hajj and its links to the Abrahamic lineage as well as the modern logistical difficulties of 2 million plus pilgrims performing the same rituals in 5 days. This year’s pilgrimage passed without significant casualties. Despite fears around swine flu, it was reported that only 4 pilgrims died as a result of swine flu. There was heavy rain this year that hampered the beginning of the pilgrimage. However, while a reported 100 died from the flooding, none were pilgrims. What Wolfe and Ahmed both emphasized is that despite the difficulties and the casualties, hajj does not stop and that alone makes this annual pilgrimage significant and unique. Were you at the pilgrimage this year? What was the experience like? Have you been to hajj before? We want to hear from you. Help us continue the conversation by leaving a comment below. 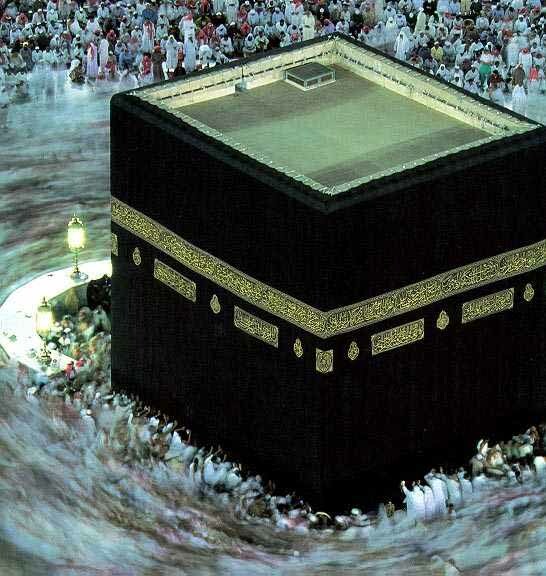 This entry was posted in Holidays, The Hajj and tagged #SSRCWCG, hajj, Mecca, Pilgrimage by Reem. Bookmark the permalink. I Didn’t go to hajj yet but I want to. In this time, everything is associated with money, and without it you cannot do anything. But back in the day, Muslims could go to hajj by walking-now you cant .